Today, marketing teams are investing in social media marketing, pay per click, and email marketing among other channels. That also means, when they are ready to invest their money and time into making their business known, they have to find the most efficient and cost-effective ways to market themselves. That does not only mean they have to find the best social media marketer or pay per click marketer to help them achieve this. They must look around for the best email marketing softwares to improve their email marketing, cut their marketing costs, and make sure that their message is being delivered in the most effective way. You may think the simple answer to this question is using email to promote your products or services to your subscribers that are either clients or potential clients. And, in a nutshell, that is correct. In order for it to be an effective way to market your business, the objective is that your email marketing efforts will end up converting potential clients and customers into those who are eager to do business with you. However, your team should identify which email marketing metrics matter, and which will determine success. If executed well, email marketing helps you build relationships with your prospects, clients, and customers, while generating new leads. The type of email marketing software that you use is just as crucial in creating successful campaigns. Which means exploring the different email marketing platforms, and finding out what they can offer is a worthwhile exercise. There are many email marketing platforms that your team can use. Each with their own features and functionality. They all let you promoting your goods and services to potential customers, but in practice they can be very different. So it is important to make sure that you have the right software that fits what you want to do. Because only when you do, email marketing can have that stellar ROI. In short the reports of email’s death were greatly exaggerated. There are no barriers to start with email marketing anymore. Some of the top sophisticated tools do need some training and set-up. But for companies that are getting started with email marketing and marketing automation it doesn’t. Most are as simple as to DIY (Do It Yourself) and you could get started in a day. At emailvendorselection.com, they made a page with reviews and selection guide to compare free and cheap email marketing software. There are many email marketing platforms that your team can leverage. They have different features and different functionality, yet they're very effective. Last month we surveyed a group of Email and Digital Marketing professionals on exactly how and why they utilize email marketing for their business – and some of the results were quite surprising. If you are a brand new business owner, then Mailchimp is good for helping you get your feet wet. It is extremely affordable, and their email marketing software is quite simple to use. In fact, you can use MailChimp for free until you end up with 2000 subscribers, and over that many subscribers enter your email list, the prices are quite reasonable. It is also easy to connect MailChimp with your e-Commerce site or blog, and it creates lovely landing pages. Now, let's look at the next email marketing software, Constant Contact. Many small businesses use Constant Contact for their email marketing campaigns. 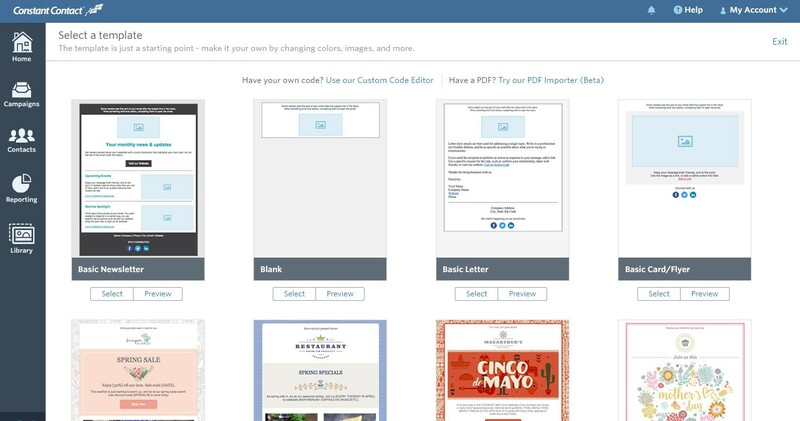 It offers many customizable templates that you can choose from, and once you get started, you are going to be prompted to share your previous email marketing experiences. You also need to select your industry when you are signing up. This way, you will end up receiving promotion ideas and customized content based on your industry. Live chat is available if you need assistance, in addition to forums for help. You'll be given a free trial for 2 months, and then it costs $20 each month for 500 subscribers, and the price increases every time your mailing list grows. 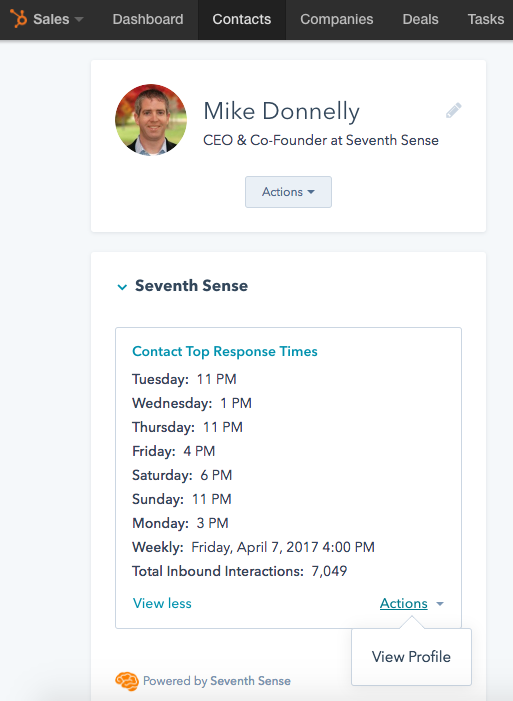 Seventh Sense is an email marketing software that provides automated send times and frequency optimization for HubSpot and Marketo users. It has created a new way to get the most of your digital marketing efforts. It comes with software that allows business owners to analyze data that is collected to increase brand awareness and sales, as well as engagement. Additionally, the software can help any business owner minimize any lost revenue and poor customer experiences. 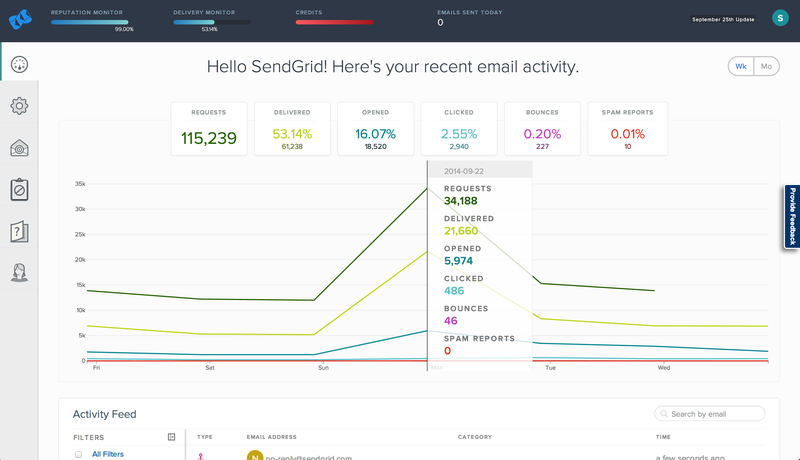 SendGrid is another email marketing software that not only measures the data based on how your email campaigns are doing, but it also measures your reputation. The data that you will receive are the bounces, spam reports, blocks, unsubscribes, and emails that are not valid. You can also do A/B testing with this software, and it allows your subscribers to unsubscribe from a particular group if they choose. One major con that has been noted about SendGrid is that the templates are plain and too basic. The pricing varies, and you will receive a 30-day trial. The price starts at $9.95 for 40,000 emails. AWeber has been one of the most used email marketing platforms over time. That is because it comes with excellent lead generation tools that are critical for growing your business. You can also customize your letters, as well as automating the sequences of your emails. It is easily integrated with Wordpress as well as other landing pages. You will receive live chat help, and emails that are ticket-based. It comes with a 30-day trial, and it is $19 a month for up to 500 subscribers. Now, let's have a look at Drip. 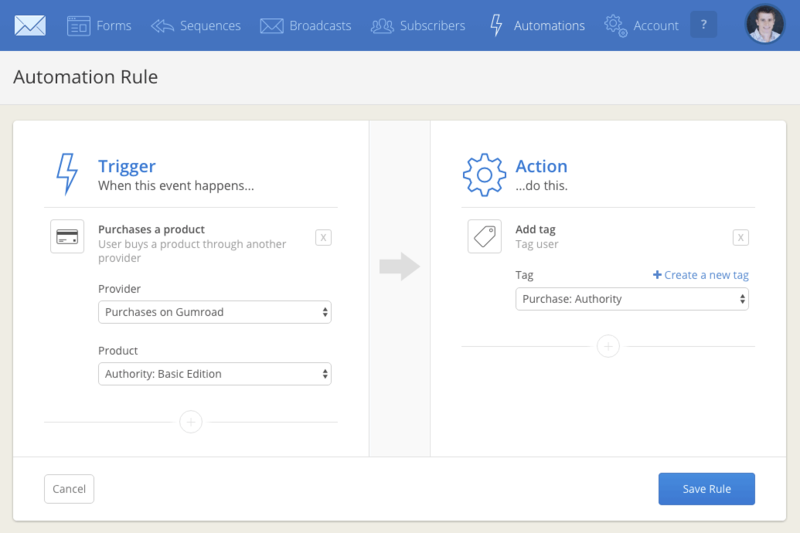 If you are an eCommerce merchant that wants to convert your visitors to buyers, then Drip allows you to do just that. This platform also allows you to have personal conversations with your subscribers, and it can send them messages at the best time for them to be responsive. It allows you to customize messages in situations that involve first time users, cart abandonment or returning website visitors. You can also send text messages, and display Facebook ads and more based on its integrations. Drip is free for up to 100 subscribers, and then it jumps up to $49 per month up to 2500 and is more ideal for savvy and experienced marketers. 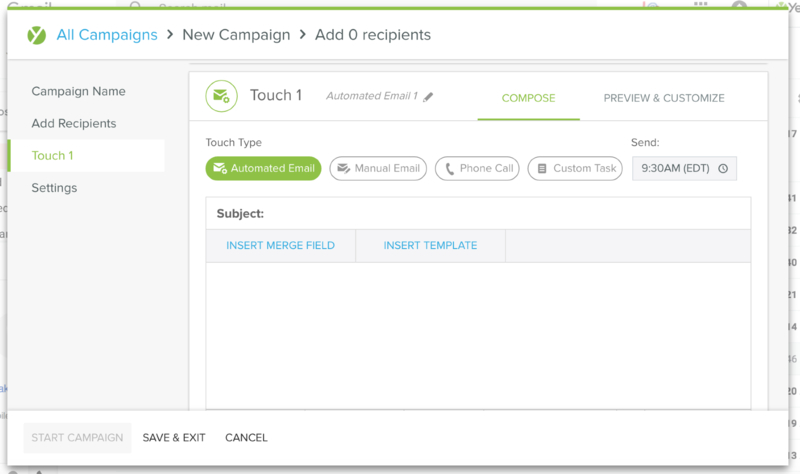 Campaign Monitor is an email marketing platform that is quite easy to use and to set up. 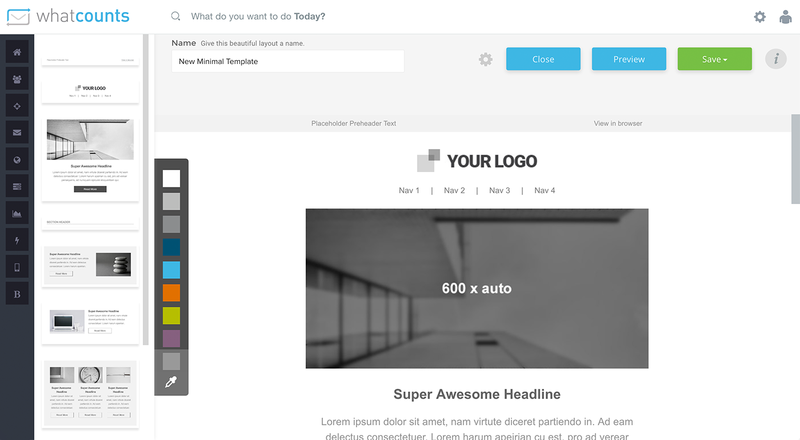 It comes with customizable tools so that you can create your own templates. This service also helps reduce bounce and spam complaint rates, and one unique feature it provides a plugin that can be used for your social media platforms to help entice subscribers. 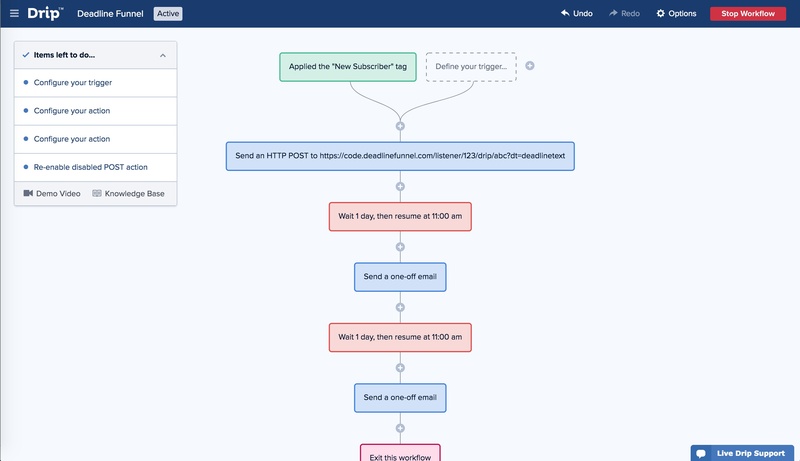 Campaign Monitor allows you to test their software out for free by sending emails out to 5 subscribers. And, after that, you have to decide on a plan. Their plans start out at $9 for 2,500 emails across campaigns as well as for automated emails. And, for unlimited emails, the cost is $39 a month. 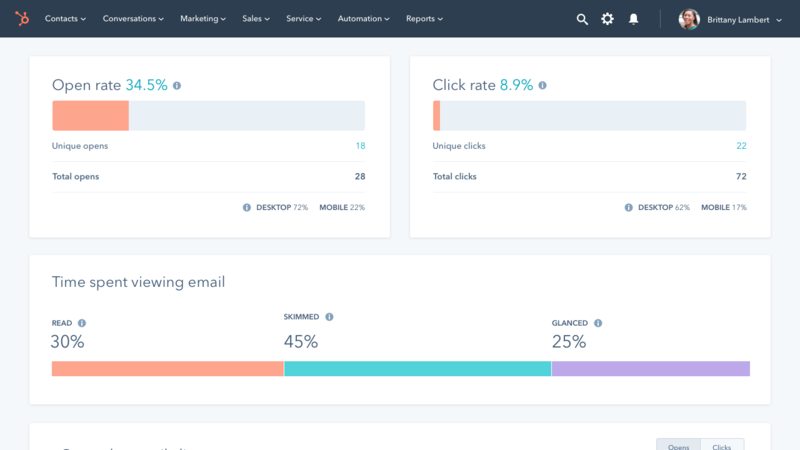 ConvertKit is a CRM, email service provider, and a marketing platform which allows business owners to analyze data from customers and clients. 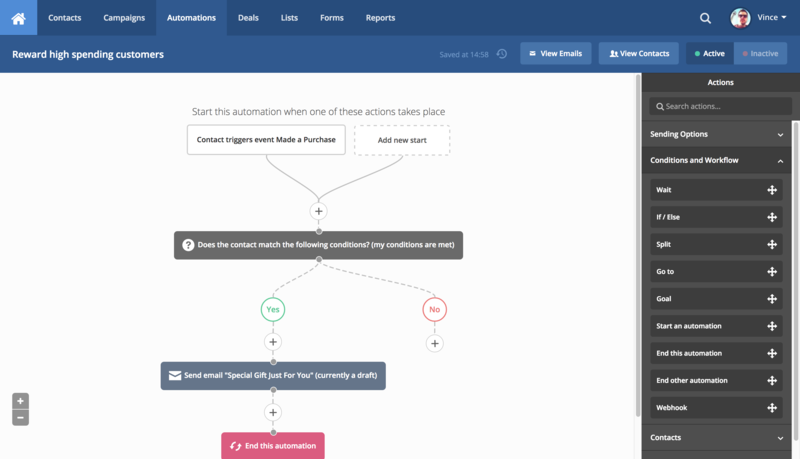 Additionally, it allows them to automate their marketing campaigns as well. It has been said that this email marketing software is user-friendly and is good for beginners to start with. It also allows you to integrate with Wordpress, however, the drawback of this software is that it will not handle automation that is complex and it lacks a scoring system so you have no idea how well you are performing overall. The price starts at $29 a month up to 1000 subscribers. There is no free trial but you can get your money back after 30 days if you are not satisfied. 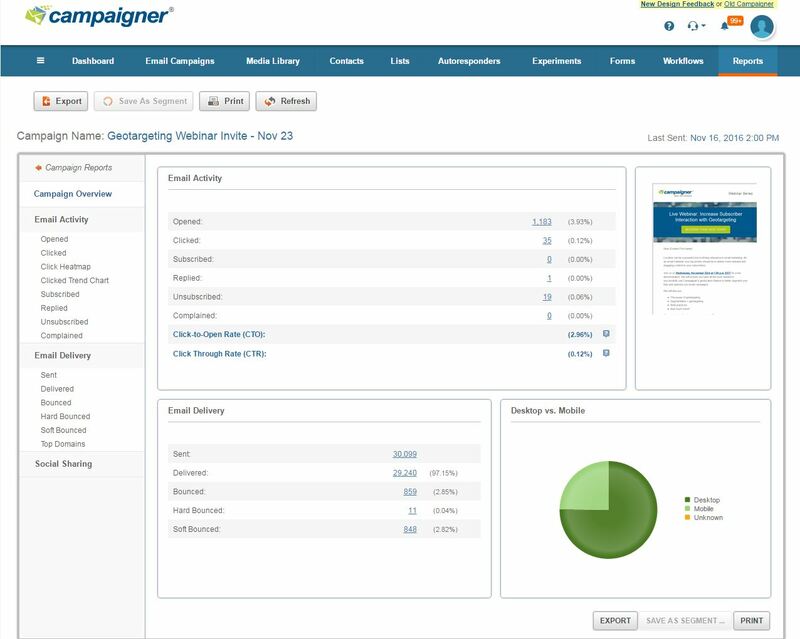 Campaigner Email is an email marketing service that features many tools and has an editor that is very easy to use as well. There are also many templates to choose from, and you can manage your contacts easily. 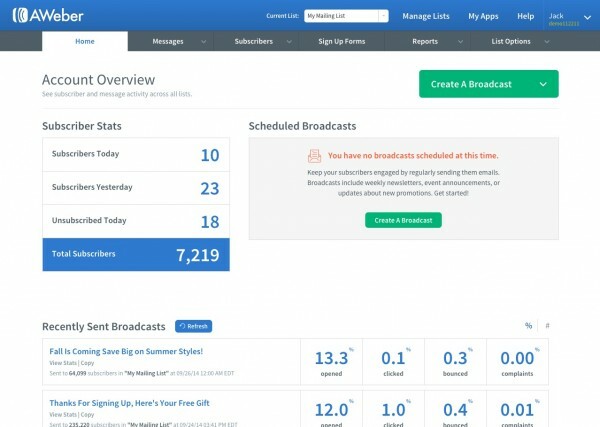 It also features A/B split testing, segmentation, analytics, and reporting. This email marketing software allows you to preview your inboxes before they are sent out as well. 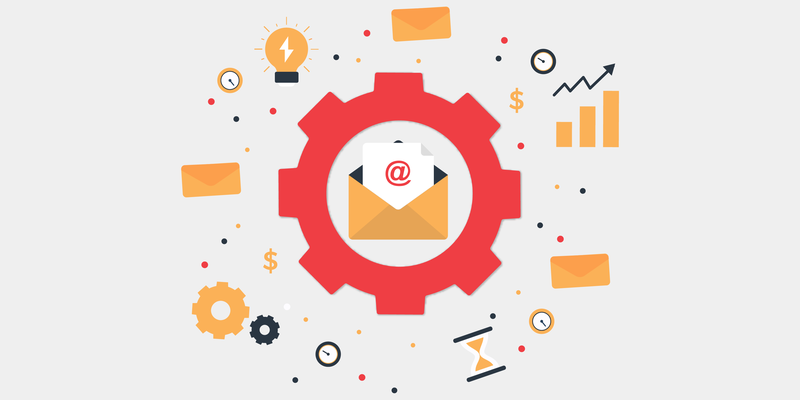 Even though Campaigner Email offers a free trial, you are expected to give out your credit card whereas most other email marketing services do not. StreamSend is one of the oldest email marketing services around since it has been around since 1998. This email marketing software is easy to use, and you can import old contacts as well as setting up targeted email campaigns is simple. 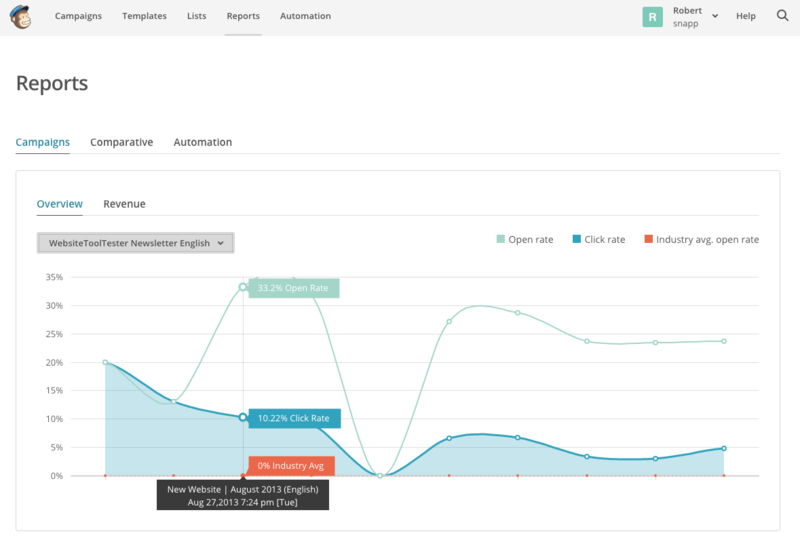 StreamSend allows you to create analytics reports, and to perform A/B split testing. However, the drawbacks are that there is no live chat support, and there is no way to track links that are performing well. It comes with a 30-day trial and it is $19.95 a month after. WhatCounts is an email marketing software that allows marketers to deliver personalized messages of their choice to their audiences, and it provides data management. However, many users have claimed that this particular service is not overly user-friendly as the search function is not overly helpful. Additionally, the HTML text area does not have enough features. The website does not have enough information that marketers want to know about such as pricing as well. YesWare is a complex email marketing tool that offers users a lot of features such as being able to analyze all of the data. Especially when it comes to potential clients who read the emails by clicking on the link. This way you will be able to determine which templates perform better with this feature. YesWare can upload your data into your CRM as you do not have to worry about having to do that yourself. This software's pricing is based on how many features that you would like as the basic package with few features starts at $15 a month. Zoho Campaigns is an inexpensive email marketing service that provides cloud-based email marketing solutions. You can integrate it with social media platforms, and offers users CRM by enabling them to reach out and engage with their clients, customers and prospects through the marketing processes which has been automated. They can also see the results of how well their campaigns are performing in their CRM accounts. The drawback with this software is that it is extremely basic, and not overly user-friendly. The price starts at $5 for 500 subscribers which is cheap. HubSpot is a complex email marketing service which also provides many different other CRM platforms. This software allows users to keep engagement flowing well with their clients, customers, and prospects. The only complaint about this platform is that it is not overly user-friendly and can be confusing. 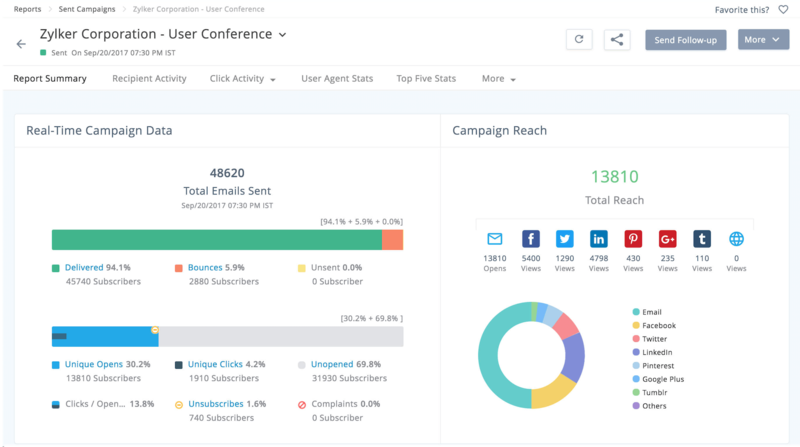 And, if all you want are the basic tools that HubSpot provides such as lead analytics and flows, contact activity, management, and insights, it is free. However, in order to get a lot more of this platform which includes customer support, the price starts at $50 a month. Marketo is a cloud-based email marketing software that provides tools and services for companies regardless of their size. It comes with many functions such as marketing automation, social marketing, analytics, and sales data. This service provides business owners a lot, however, the prices range depending on the packages they want. The only complaints about this particular one are that there is a learning curve and not overly user-friendly. You have to contact them in order to get a price quote on what you need from their services. ActiveCampaign is a marketing platform that offers a variety of services. It offers business owners email marketing features which include marketing automation, and tools for sales. Their platform has been said to offer an abundant amount of marketing services and tools but it is not overly user-friendly as there is a lot of guesswork when it comes to figuring out how certain tools work. If you only want to use ActiveCampaign for email marketing and automation, the price starts at $9. You will have to pay more if you want other features as well. Mailjet is an email marketing software that provides many excellent tools that are needed for marketers such as newsletter templates, SMTP relay, tools for analytics and APIs with any plan as well. 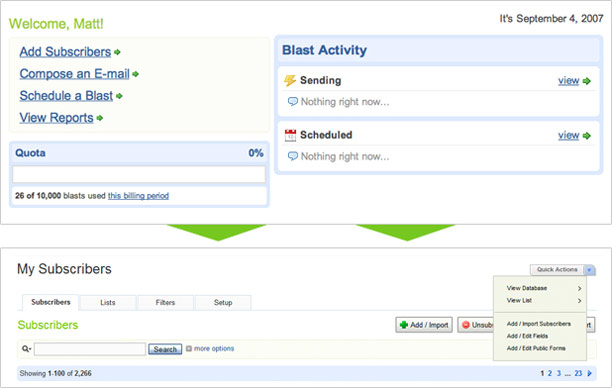 It allows you to monitor any email sent out which includes transactional emails. 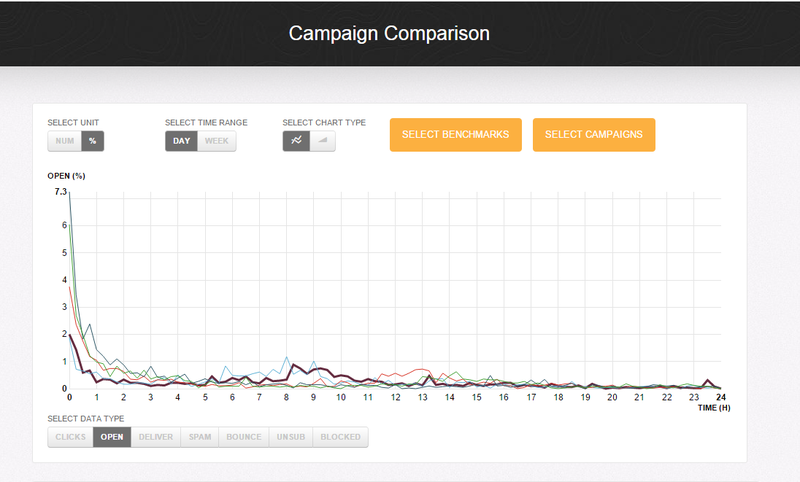 It allows users to evaluate how well their campaigns are performing, so tweaks can be made if needed. If you only send out 6,000 emails a month which averages out to 200 per day, it is free. However, after that, the price starts at $8.69 per month as the pricing is fair. Atomic Reach offers all of the services and tools that your business will need. The platform is extremely user-friendly, and you will have access to all of the tools that you need in order to manage your business. And, you will receive excellent customer support, especially if you are confused about something about how the platform works. The pricing is fair, and it all depends as well on the packages you receive. Contact Atomic Reach in order to inquire about pricing for what you need. You’ll be happy to get elite support from Atomic Reach, and they will eliminate all of your guess work. This is a short list considering the amount of software out there. That being said, if you know of any great softwares, please let us know!